I made another papercraft from Big Hero 6. This time is a simple Baymax container. This container that looked like an emergency medical kit is also a re-charger unit for Baymax. In the movie Baymax pop out from this container like an inflatable jack, he is an inflatable robot. The template only has 1 page, a very simple model. 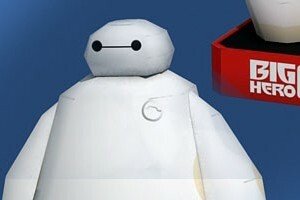 The size of this medical kit is the same scale as the previous Baymax model. There are many version of Baymax paper craft on the internet, this is one of them, a Paper Replika's version. The template was designed to be an easy build model but still preserved the likeness with the real one. It contains only 2 pages. 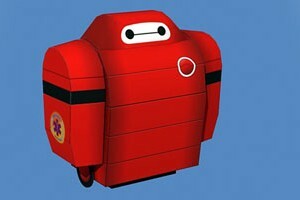 Baymax is a healtcare robot in The Big Hero 6 animated movie. It belongs to Hiro Hamada, the main character in that movie, he is a 14 years old robot-genius kid. Baymax is built by Hiro's older brother Tadashi. I re-activate the protection password in this PDF file. 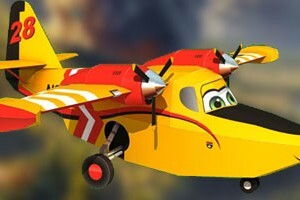 The password is "paper-replika.com"
I stumbled upon a trailer video of new sequel of Disney Planes movie when I was looking for Planes trailer on youtube for my son. My 2 years old son is love Disney Planes so much. By looking at the new sequel trailer of Fire and Rescue, I think it would be more awesome than the first one. 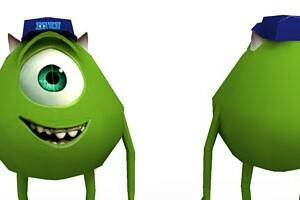 It would be so much fun watching it with my kids in cinema. Not like other kid's movie, my son never get bored watching the Planes, he always cry for more whenever the show ends. I plan to make more character from Planes : Fire and Rescue, Dipper is for the start. 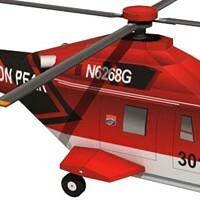 The size is of the built model will have the same scale as the existing Dusty Crop hopper model.